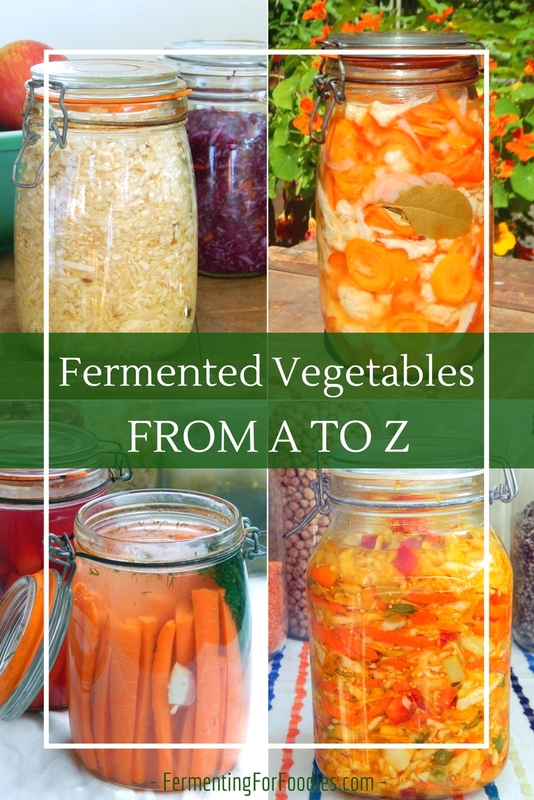 Do you want to know how to ferment vegetables? 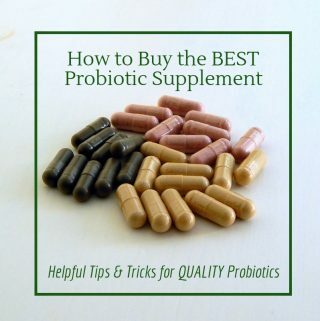 Whether you are looking for a traditional sauerkraut, a delicious jar of pickles or something more exotic, it’s easy to make probiotic vegetables at home. 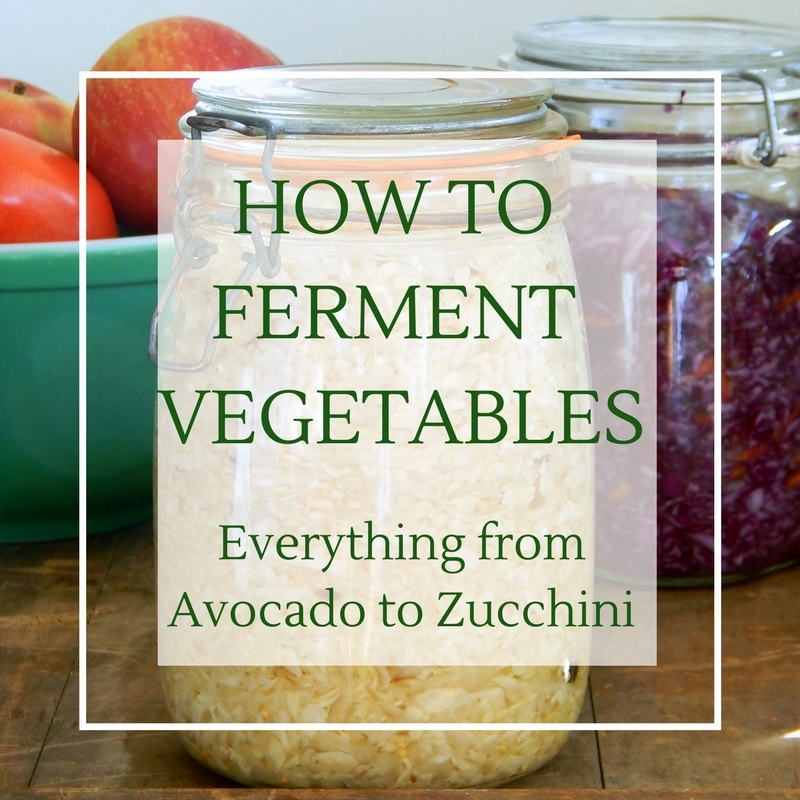 Here is everything you need to know about making homemade fermented vegetables, along with links to recipes so that you can ferment everything from Avocados to Zucchini! CLEANLINESS: The general rule is to keep everything as clean as possible to avoid contamination. This is even more important for things like pickles and sauerkraut that can ferment for a month or longer. 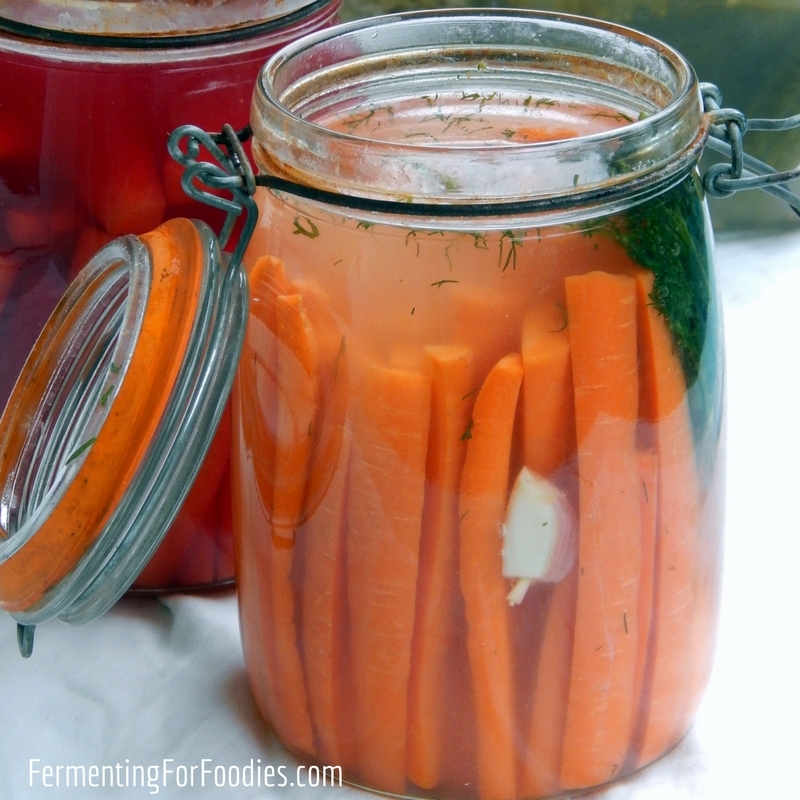 Here’s a full post on how to sterilize for fermentation. TEMPERATURE: Vegetables like to ferment at around 18 C (65 F). 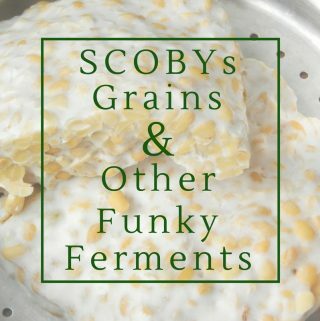 If you don’t have anywhere cool for your ferments, just ferment for for less than 5 days. DARKNESS: Keep your vegetable ferments in a dark cupboard, or wrap them up in a towel to avoid exposure to light. Light will encourage mold to grow. SPOILAGE: If your ferment looks funny, smells funny or tastes off, then don’t eat it. Every ferment walks the line between the yummy yeasts and bacteria that we want to grow, and those that cause food poisoning. 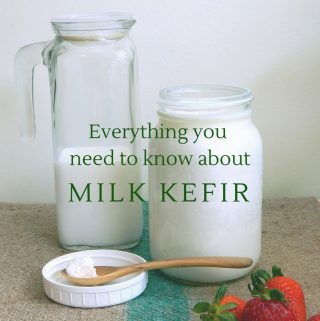 If you aren’t sure, read this post on mold and kahm yeast. STARTERS: Most garden-grown vegetables have a good bacterial culture on their skin. This is particularly true for cabbage. However, sometimes it is a good idea to use a starter. Here is my post on when to use a starter. 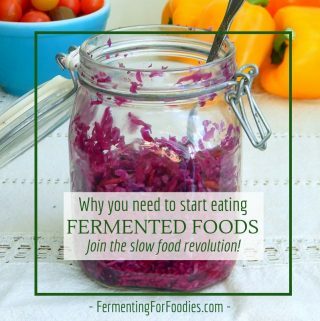 If you are wondering about how to ferment vegetables at home, here are some of my favourite vegetable ferments. For a complete list check out the category archive. 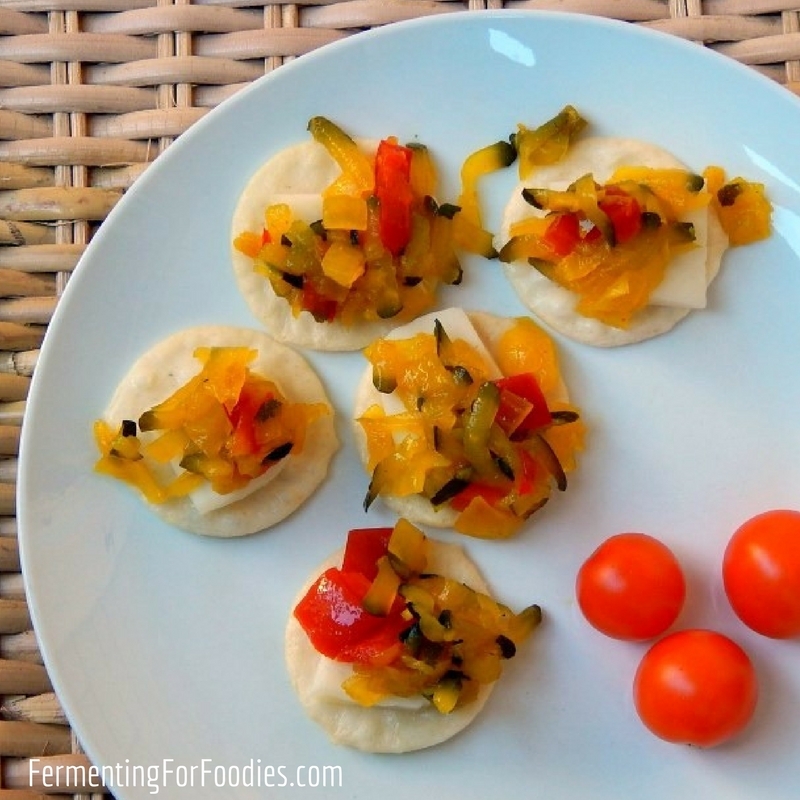 Snacking vegetables are a great way to get started on fermenting vegetables. They only take a few days to make, and you end up with a delicious snack! Try making Carrot Sticks, or mixed Picnic Basket Vegetables. Personally, I LOVE the Italian-style fermented Giardiniera. Making fermented vegetable pickles is a traditional way of preserving food. While Old-Fashioned Pickles are always popular, the list of vegetables that you can turn into fermented pickles is endless. Here’s a few of my favourites: Beets, Cocktail Onions, Garlic Scapes, Nasturtiums Berries and deliciously pink Turnip Pickles. If you are looking to add more probiotics to your diet why not throw a little culture into your Guacamole or Salsa? Try a salty Cucumber Relish or a sweet Zucchini Relish. As I mentioned above, cabbage has it’s own lactic bacteria culture, which is why it is so popular to ferment! Curtido is South American fermented cabbage and onions, which is delicious on papusas. Koreans eat kimchi at almost every meal. 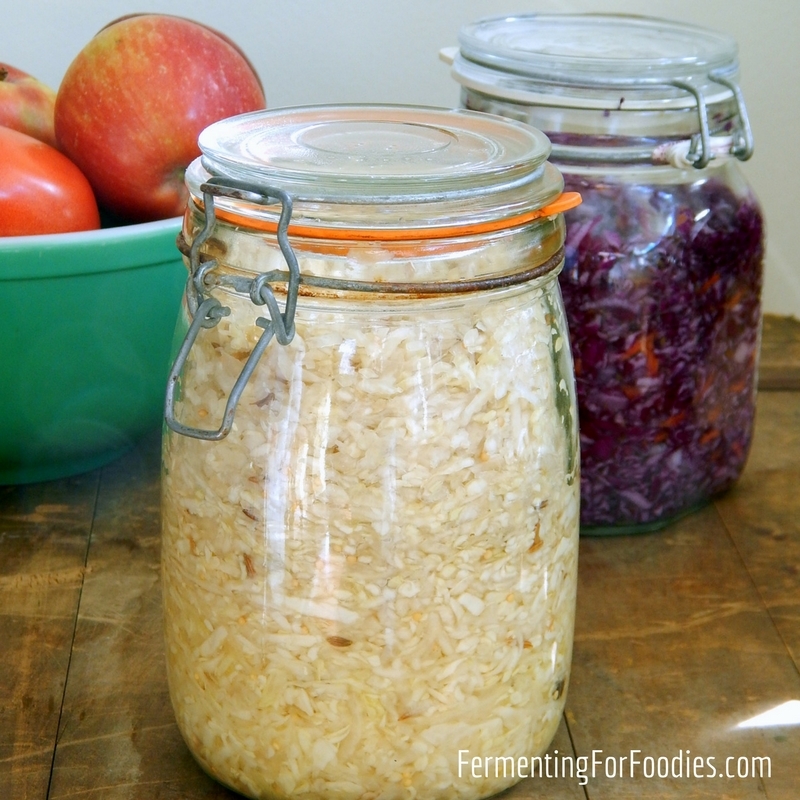 If you are new at fermenting I recommend making sauerkraut, because it is such an easy and reliable ferment for first-timers. And if you are looking for some new and exciting ways to get more sauerkraut into your diet here are some ideas. I have a lot of apples left over from last autumn’s harvest and I would like to juice them and and use the mother from a previous batch to inoculate the juice. Problem is, it’s summer now and everywhere is pretty hot. Would it just speed things up if the temperature is higher. I have a choice of a coolroom that’s like a fridge, or temperatures that vary from mid teens to about 40 degrees C.